Influit specialises in designing practical solutions for production enhancement. We understand that different reservoirs require different stimulation or flowing techniques and systems to enhance production. Our team starts by performing a thorough analysis to identify constraints in production, determine appropriate action plans, and execute a number of operations for production improvement. The addition of such a system, allows for the flow of normally shut-in, idle wells with FWHP below pipeline operating pressure, into the Low Pressure System which then separates, measures, samples fluids and then re-injects at higher pressures into the pipeline. Influit's management and engineering team conceptualised several seawater and produced water treatment and injection systems and has designed, built and delivered 8 systems in Asia in the past decade. Adding equipment to an existing remote facility. The supplemental Gas Compressors (GCs) can draw gas from the existing or supplementary process such as LPS or from existing permanent facilities to re-inject at higher pressures into the pipeline or into local gas lift wells. The original small-footprint, lightweight, high-pressure GCs were actually developed to re-inject gas in the Gulf of Thailand to meet a major operating Company's zero emissions target, but their use evolved and today these GCs are primarily delivering more incremental oil through gas lift applications. Influit's engineering and operations team in unison with specialised gas compression co-operative partners mastered this concept and delivered over 20 remote and lightweight mini- gas compressors to Thailand over the past decade. 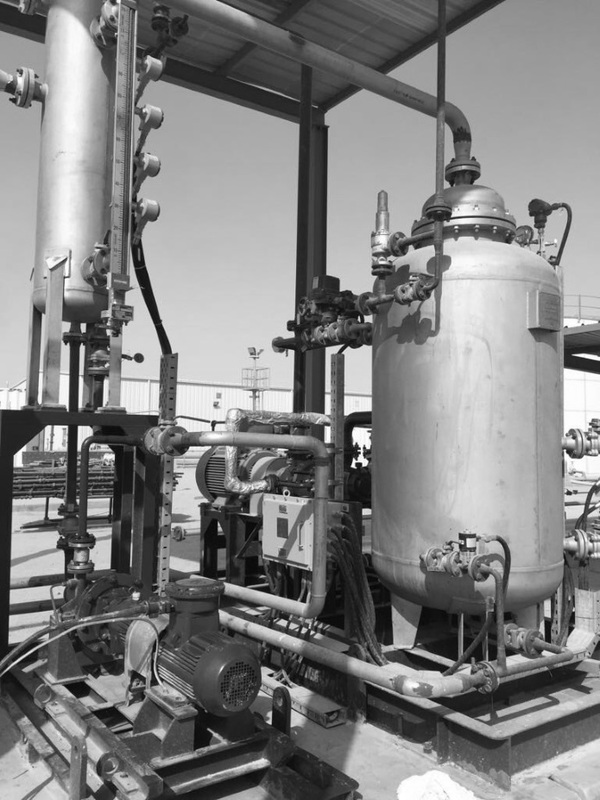 The surface system is a lightweight, compact surface process equipment and pumping package containing coarse and fine filtration, deoxygenating and chemical treatment before re-injection into wells at operating rates ranging from 5,000 BWPD to 100,000 BWPD, and at pressures as high as 5,000 psig. These systems can simply be deployed around the field as required and installed or relocated in a matter of days. The modular approach is most suited to lack of deck-space and on small remote well-head platforms. Additionally Influit and its technology partners can deliver large and permanent treatment facilities with options of using either chemical scavenge, de-aeration or Reverse Osmosis treatment system options and can also offer various pumping options. Its most recent breakthrough being the provision of a newly developed well gas driven High Pressure High Volume horizontal multi-stage pumping system. The pumping system and surface topsides process treatment plant were designed and built by Influit and delivered to a Malaysian major operator in 2016. Similar systems were delivered by Influit to a Turkmenistan major Caspian Sea operator in 2016 and 2017. Designed, fabricated and installed for temporary and permanent solids exclusion systems for offshore fixed and floating facilities. Designed, built, installed and operated to support EPF, MOPU, PEP packages.